India and Russia on 24 December 2015 signed 16 Agreements/Memorandum of Understandings (MoUs) to deepen bilateral cooperation in the fields of energy, security, technology, etc. 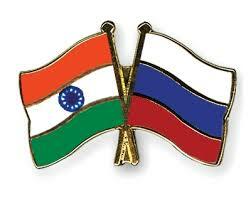 The pacts were signed after the conclusion of the 16th India-Russia Annual Summit in Moscow. After the summit, which was attended by Prime Minister Narendra Modi and Russian President Vladimir Putin, both the leaders issued a joint statement with the theme “Shared Trust, New Horizons”. Protocol amending the agreement, which was signed on 21 December 2010, between India and Russia on simplification of requirements for mutual travels of certain categories of citizens of the two countries. Protocol amending agreement between India and Russia on mutual travel regime for holders of Diplomatic & Official Passports of 3 December 2004. Plan for Cooperation between the Federal Customs Service of the Central Board of Excise and Customs, Department of Revenue, Ministry of Finance, India and the Russian Federation for combating Customs violations in 2015 – 2017. Programme of Action Agreed Between the Department of Atomic Energy of India and the Russian State Atomic Energy Corporation “Rosatom” for Localization of Manufacturing in India for Russian-Designed Nuclear Reactor Units. Memorandum of Understanding between the Ministry of Railways of India and the Joint Stock company “Russian Railways” on technical cooperation in railway sector. MoU between Solar Energy Corporation of India and Russian Energy Agency regarding construction of solar energy plants in the Republic of India. MoU for cooperation between HEC & CNIITMASH for development of Centre of Excellence for heavy engineering design at HEC. MoU for cooperation between HEC & CNIITMASH for upgradation and modernization of HEC’s manufacturing facilities. Memorandum of Understanding between Prasar Bharati and Digital Television Russia on Cooperation in the field of Broadcasting. Tripartite Memorandum of Understanding between Centre for Development of Advance Computing (C-DAC), Indian Institute of Science Bangalore (IISc) and Lomonosov Moscow State University (MSU). Tripartite Memorandum of Understanding between Centre for Development of Advance Computing (C-DAC), OJSC “GLONASS” and GLONASS Union. MoU in the field of investment cooperation in the Russian Far East between The Tata Power Company Limited and Ministry for Development of the Russian Far East. MoU for Cooperation for geologic survey, exploration and production of hydrocarbons onshore and on the continental shelf of the Russian Federation. Confirmation of successful completion of the first stage pre-completion actions in relation to the creation of a Joint Venture in JSC VankorNeft. MoU for Cooperation for geologic survey, exploration and production of hydrocarbons onshore the Russian Federation between Rosneft oil company, Oil India Limited and Indian Oil Corporation Limited.